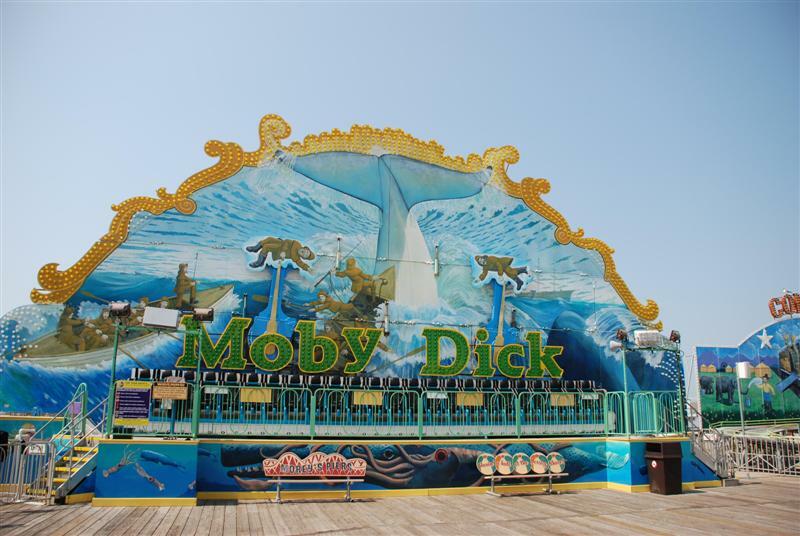 Morey Piers consists of three separate piers (each a ten minute walk from each other) that jut out from the Wildwood Boardwalk into the Atlantic Ocean. 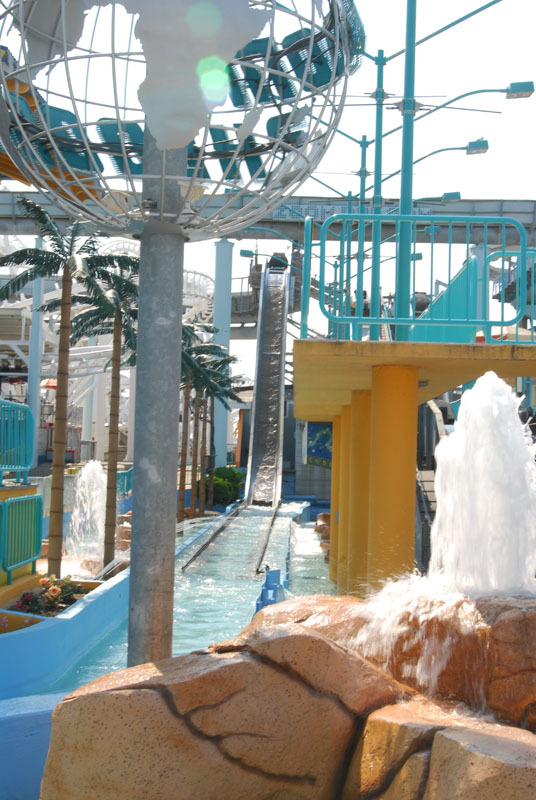 Two of the piers have full size waterparks, so if you like to combine riding with sliding this will be an all day visit. 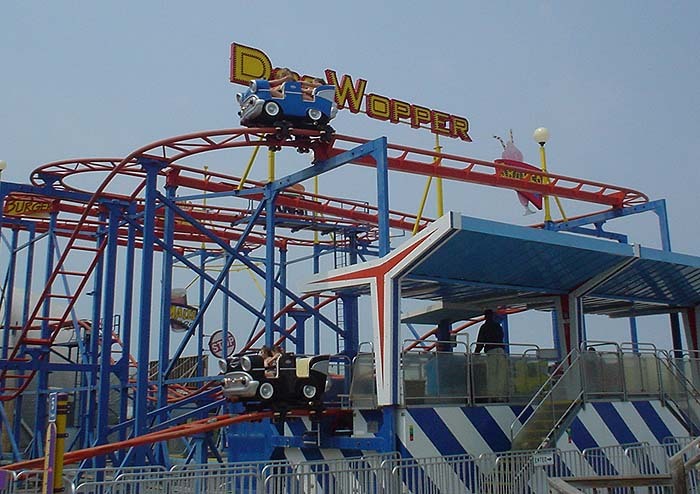 Quantity trumps quality as this amusement site contains the most rides in one place, many of which families can enjoy together. Needless to say you are not going to get much shade on a pier, but people don't visit a beach to avoid the sun. The plethora of fresh made food can help put your dehydrated body at ease. 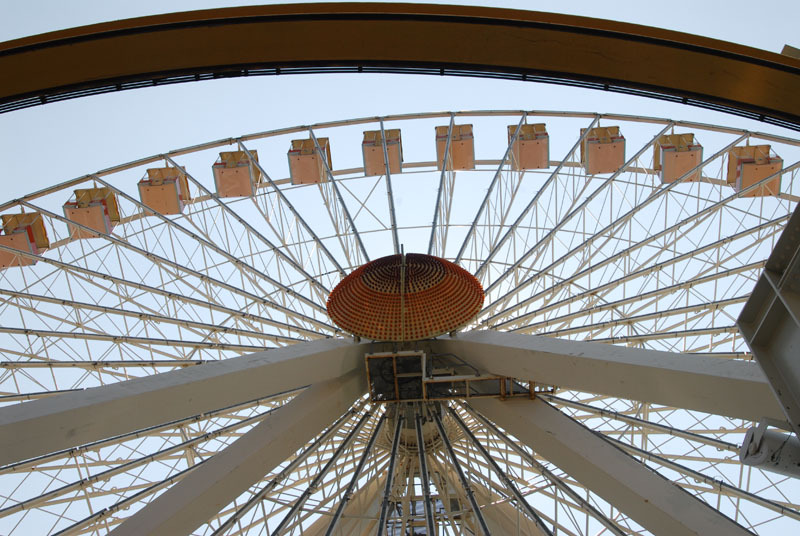 Morey's Piers is a great place to get that quality, cheesy, tacky beach atmosphere without having to deal with to many logistics. The food is fantastic along the boardwalk. There are nice family owned shops and stalls everywhere and a nice selection of places to buy adult drinks. The flat rides themselves are good and the water park is absolutely amazing and definitely the thing that stood out at Morey's Piers. In all honesty the coasters were sub par. Great White was good in the front but Rollie's Coaster, Fly the Great Nor'Easter, and others were extremely rough and painful. If you get the all day pass make sure to include the water park. It will be soothing to sit in the lazy river or at the Tiki Bar to recoup after SLC pain! This place is a really nice pier park. We didn't do the water parks, although looking back we wish we did. It looked loads of fun. 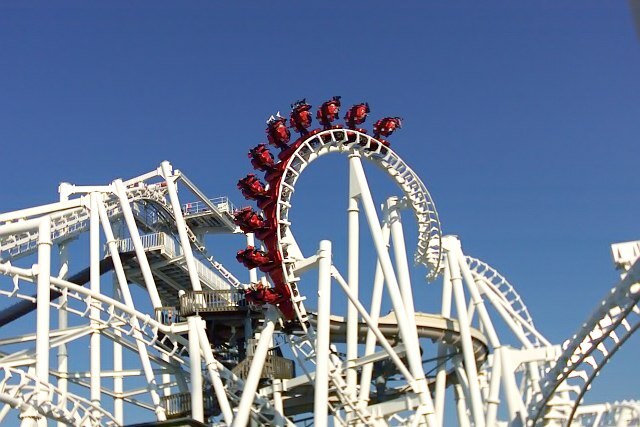 Coaster wise, nothing blows you away. Great White was fun, and I didn't find it rough. 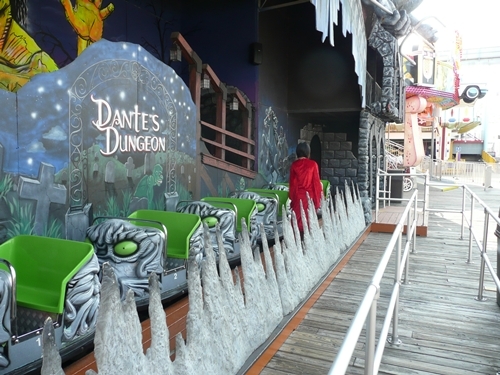 The log flume was surprisingly cute, and the flats were very solid. 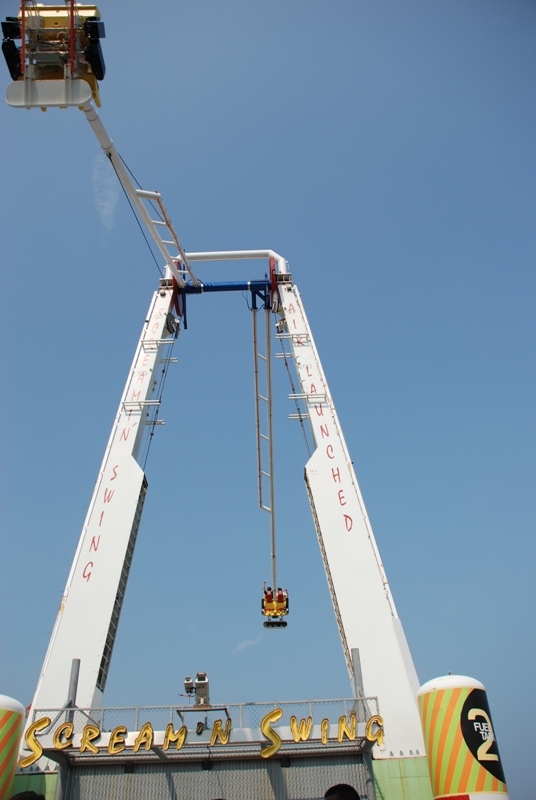 There were also two SkyCoasters (We rode both) that were pretty good. 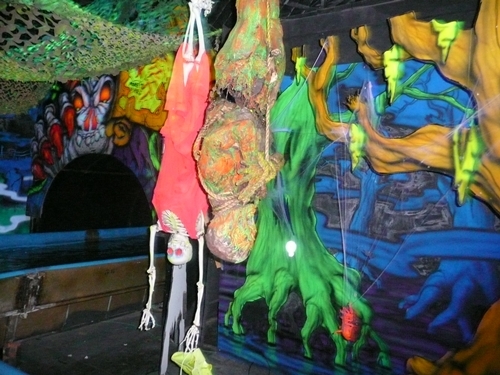 The walk through haunted house is a good time. Just don't get on the SLC thinking you will have any fun at all... Even with the new trains. It feels like someone is slapping your back with a 2X4 while you are in a roll over car accident. Side note, the pizza is really good here! Overall, this IS NOT just a credit stop. Get the wristband and enjoy everything the pier has to offer! Some places are just so fun to visit that it doesn't really matter what rides they do or don't have. 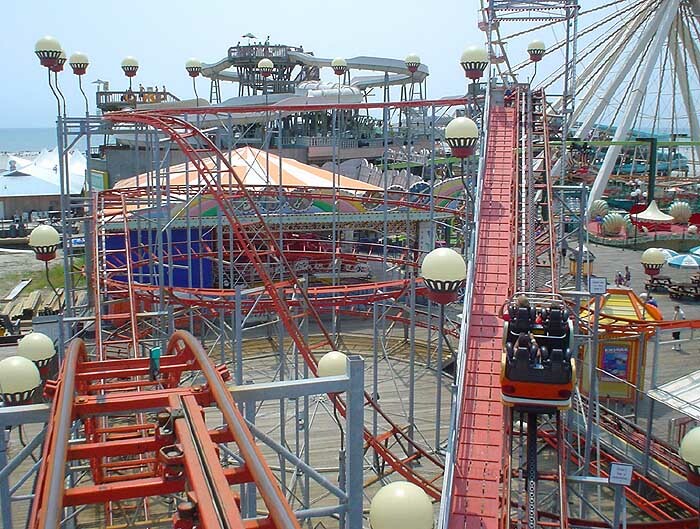 Morey's Piers is one of those places. 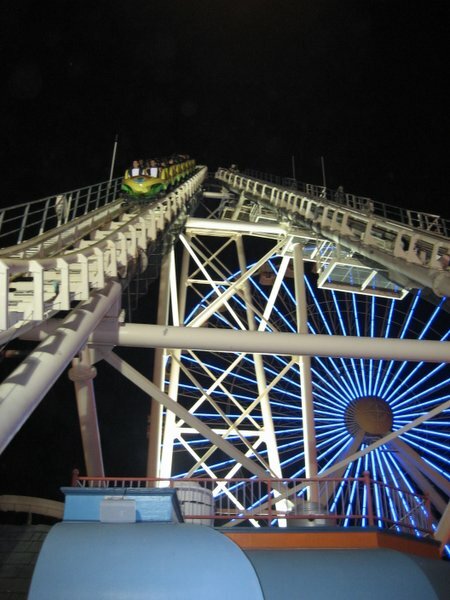 Morey's is the ultimate boardwalk park, with 3 piers along the Atlantic chalked full of great rides, very good food, and just enough coasters to liven the already great atmosphere, especially at night. The hours are long, which is a bonus. One slight ding against the place is that it is rather pricey, especially for the ride passes. The coasters are mostly all fun - Great Nor'Easter has a nice setting and rides pretty good with the new trains. Great White is another very good ride, with nice pacing throughout. The upcoming GCI I think will really round things out. 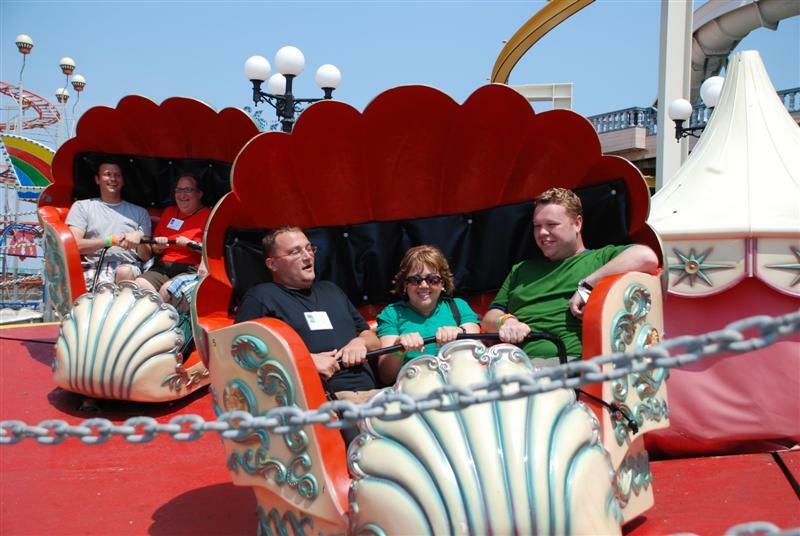 Be sure to WATCH THE TRAM CAR! Morey's has it going on, hands down. Other boardwalks wish they were Morey's. 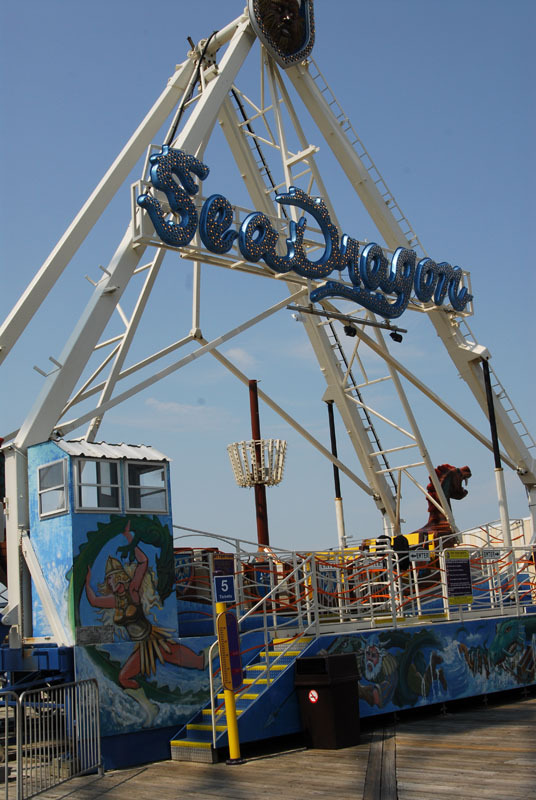 Spread out over mulitple piers, this amusement and water park has the atmosphere, attractions, and friendly staff that makes you wish you could go there everyday. Its obvious the owners care and reinvest in the park. Great White is a little rough but they've bought new trains and added new restraints to the SLC to lessen your headache. The recent addtion of 'It' and the haunted ship get two thumbs up. Everyone should visit Morey's for a weeked! Morey's is set in one of the most picturesque settings, along the beach. 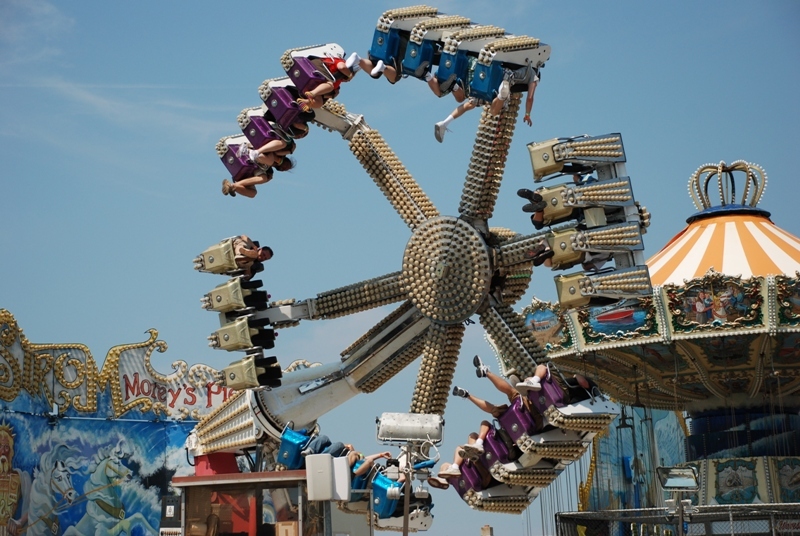 It has many rides that are all built in close proximity to one another, and a wide variety of rides. 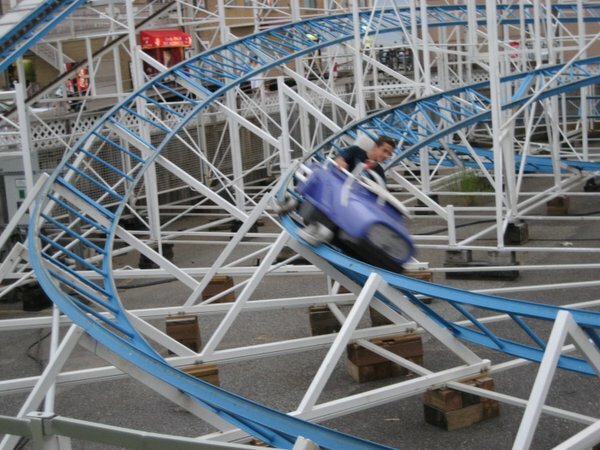 They roller coasters are plentiful, but most are lackluster. The best coaster at Morey's is Great White. This coaster has a beautiful view from the top, and the beginning is awesome! It has some nice pops of air, and is very fast for a boardwalk ride. Rides are expensive, so buying an all-day wristband is usually a sensible idea if you want to ride everything. Because of MTV's hit show, I was apprehensive about visiting Morey's, but ended up having a great time, and felt that it would be a great place to take kids. 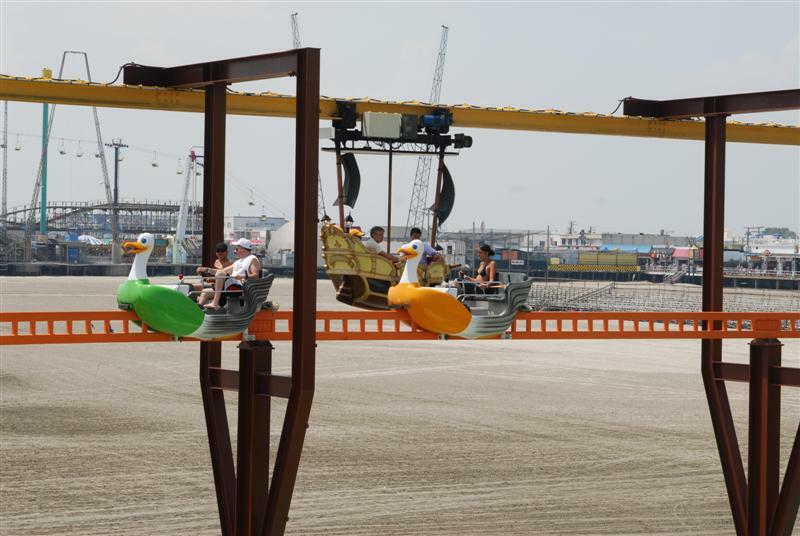 The piers/rides/attractions are very clean, and everything seems to be maintained really well. While everything is literally on top of each other (there are SO many head/leg choppers on the SLC), it makes for an interesting experience. The employees were friendly, there were good operations, LOTS of food choices at/around the piers, and it was easy to keep busy. 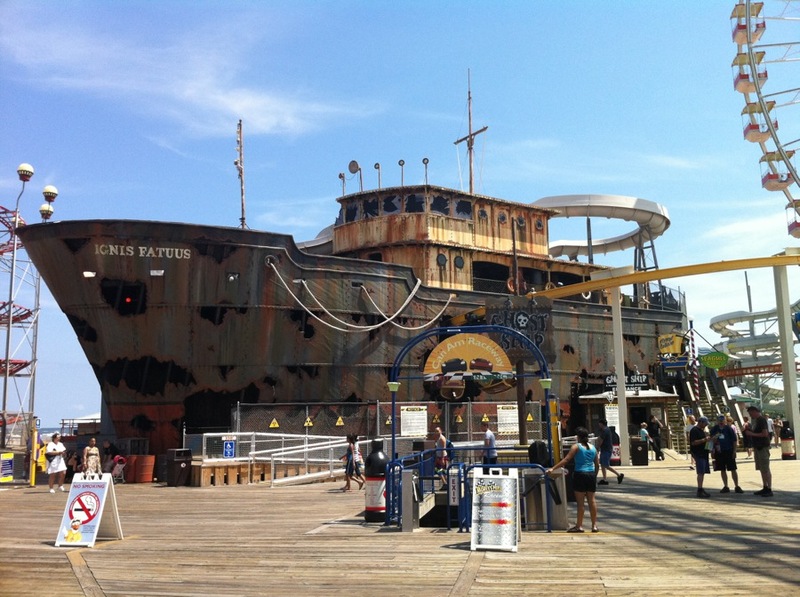 Make a point of doing the Ghost Ship attraction - it seems as if they've put a lot of effort in that attraction, and it does make for a good scare. Next time, I'd like to take advantage of the boardwalk food. 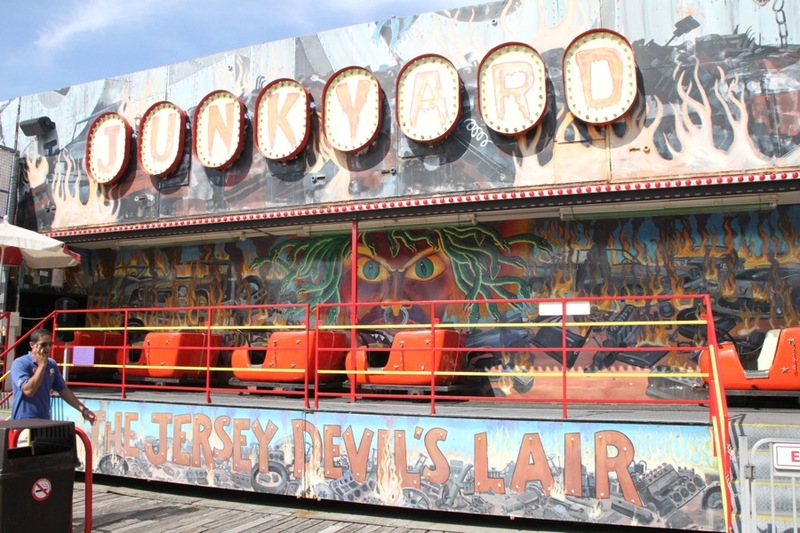 This park has a great selection of flat rides and a great selection of cheesy awesome dark rides, as well as the award winning Ghost Ship. There are also lots of food options available on the boardwalk, and spending a day by the ocean is great. Where the park fails is in it's coaster selection. 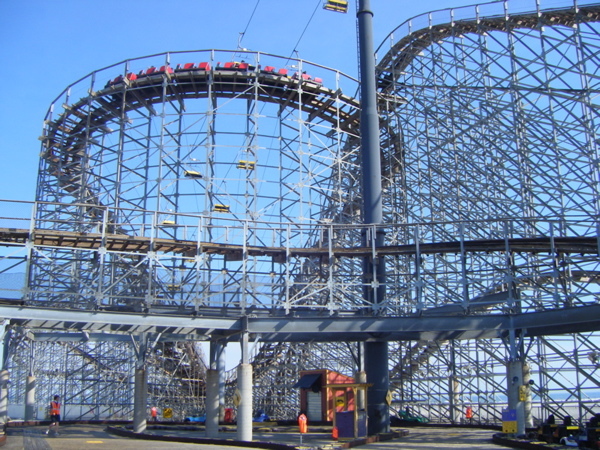 Their two biggest coasters are an SLC and a large CCI Woodie. While the SLC has the new restraints, it's still probably one of the roughest SLC's around. 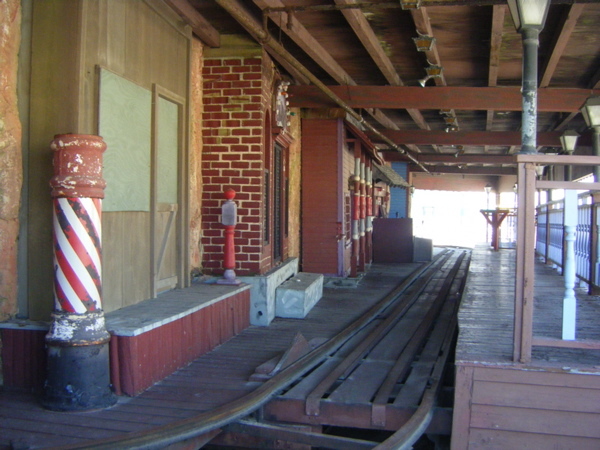 The woodie has a unique drop beneath the boardwalk before the lift hill, but the ride is pretty rough as well. The park is also made up of three piers and you will need to do alot of walking, but it's a nice walk along the boardwalk, even though it can get crowded. Nice place to visit overall. Morey's is by far the best boardwalk I've ever been to. The flat ride selection is better than most parks, and many run with better cycles than parks as well. The big coasters are not the best, but are enjoyable. Log flume underneath the boardwalk is great. Operations were decent. Food selection is excellent- you're on a boardwalk! Beach is free also, which is nice. Great atmosphere, definitely a place you could relax at. 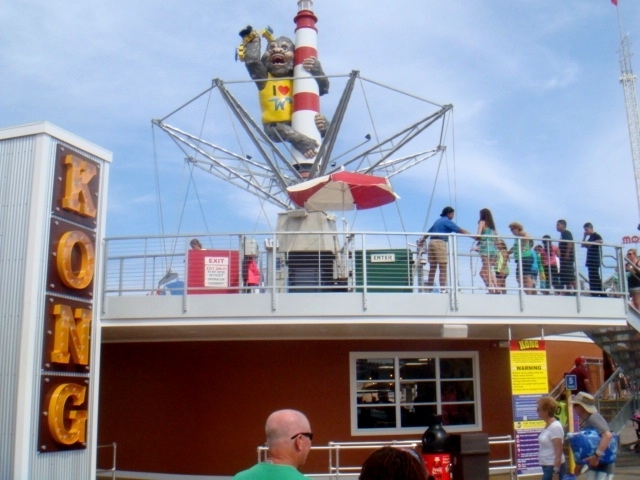 If you plan to go between piers a lot, definitely buy an all-day pass for the tram car, it will save a lot of walking. Good deals are available on weekdays as well. Waterpark looked like fun- I want to go back to it, despite my aversion to waterparks. Definitely worth a trip, especially if you like the beach. 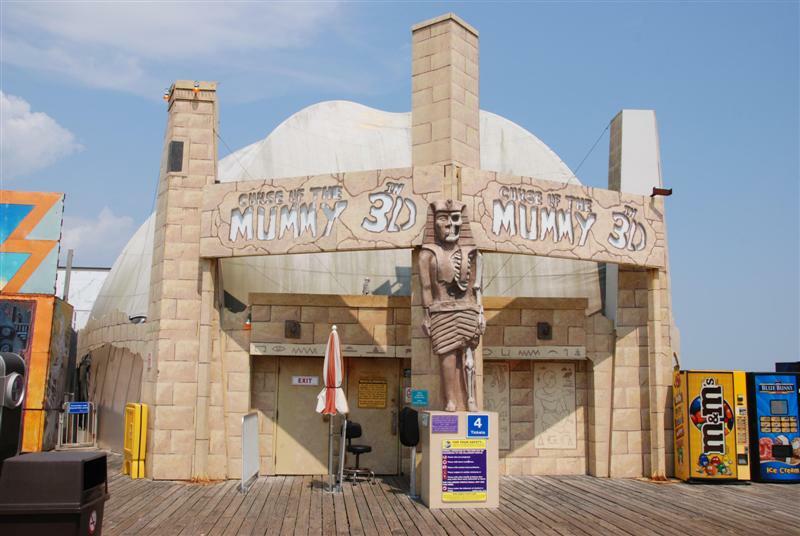 In the summer of 2009 by chance I ended up having friends getting married up at Ocean City and fortunate enough to have a place in Wildwood right off the boardwalk. 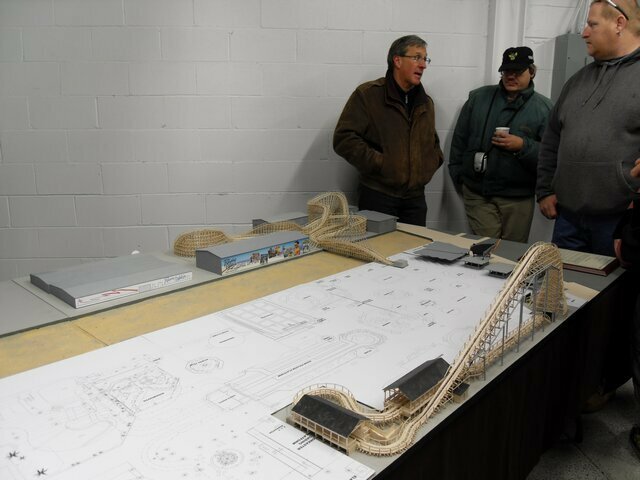 I knew they have some rides but was really surprised just how much they had to do at Morey's Piers and was shocked how much they could fit onto these piers. Piers are full of your typical flat rides, big boy coasters and water slides every where you look. Many independent food stands competing for business. Great selection of rides over the three piers. Extremely crowded on summer weekends. Free admission. Pay per ride or POP wristband.